Yes! 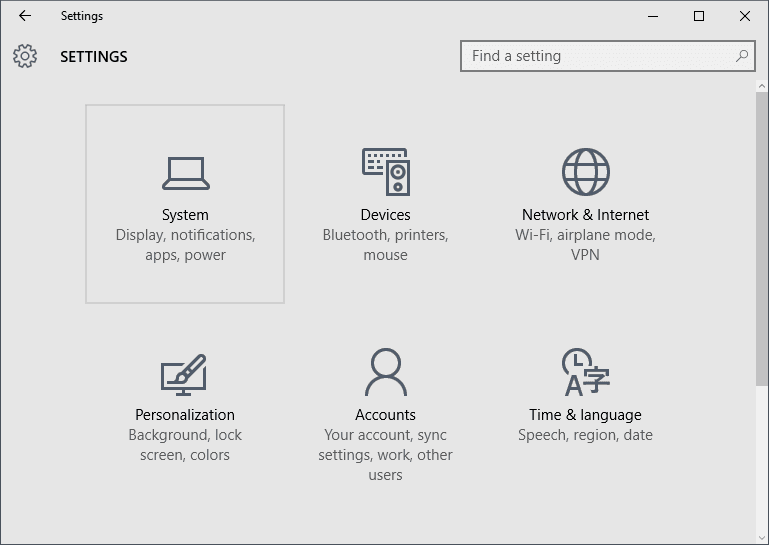 You can disable Notifications & Action Center in your new Windows 10 PC! Follow this simple trick. 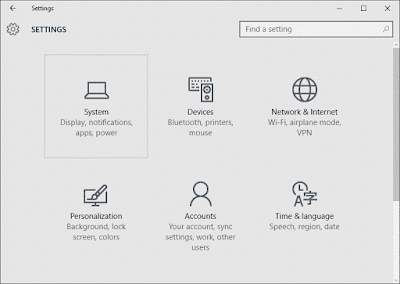 Microsoft added a new Notification Center (which is later renamed to Action Center) in Windows 10. Its icon is attached in the right hand side of the Taskbar near Date & Time. 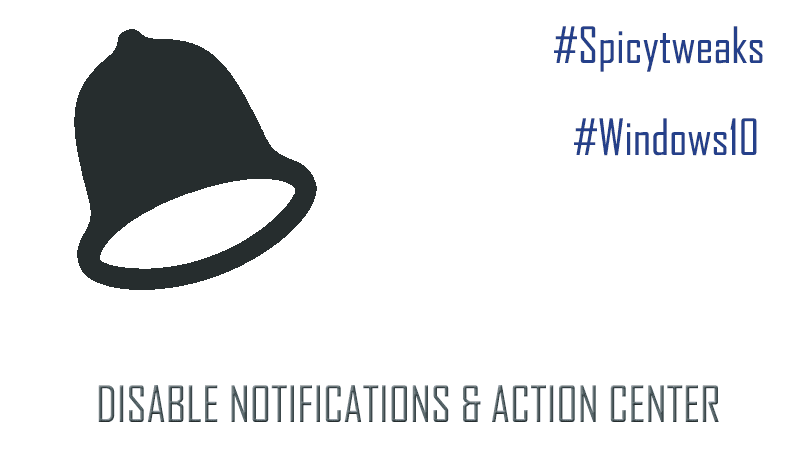 It works just like the the notifications in Android or Windows Phone! Windows 10 is receiving is several positive feedback from its users! Anyway none of the Operating System is perfect. There are many features which we don't like in Windows 10. In one of my previous post I shared you an interesting tweak to remove extra 6 folders from File Explorer (This PC). If you don't like Actions Center, you can disable it and remove the icon from Taskbar. Click Start and then go to Settings. Tip: If you don't see Settings link in start then click on All apps and then scroll down until you reach the settings app! Now click on System. It'll take you to System Settings. Now in the Quick Actions section, click on "Turn system icons on or off" link. Toggle the Action Center item slider to off! It'll immediately remove the Action Center icon from Taskbar. 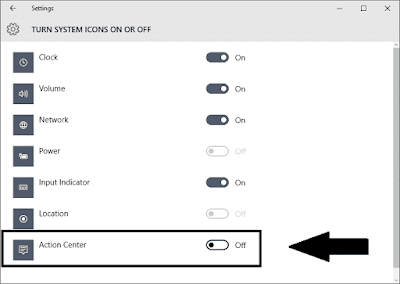 If you don't like the notifications in the Action Center and you want to disable the Notifications too, you can turn off the notifications by going through the following steps! Now click on System. It'll open System Settings window. Now in the Notifications section, toggle the "Show app notifications" to off. If you want to completely remove Notifications & Action Center then you can easily do it using Group Policy Editor. Leave, if you don't know anything about it as the method explained above will do the same task for you. 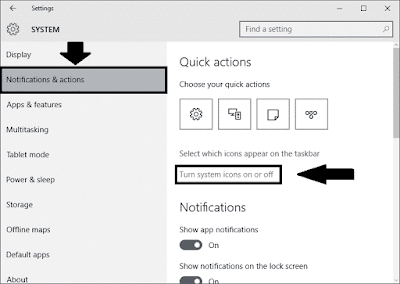 Now follow the following steps to completely remove Action Center notifications in your Windows 10 PC! Press Window key + R key at the same time. It'll will open RUN dialog for you. Now in the right hand side, right click on the "Remove Notifications and Action Center" setting and select edit. Now click on the Enabled radio option and then click on Apply. Restart your computer to see the changes. 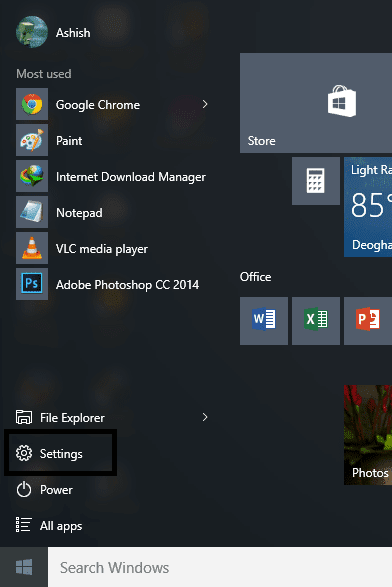 Keep visiting for more Windows 10 Tweaks!